32 Chrome Spline Lug Nuts | 9/16-18 | Ram 2500 3500 Ford F250 F350 1987-1999 Usa has a rating of 4.7 stars based on 13 reviews. 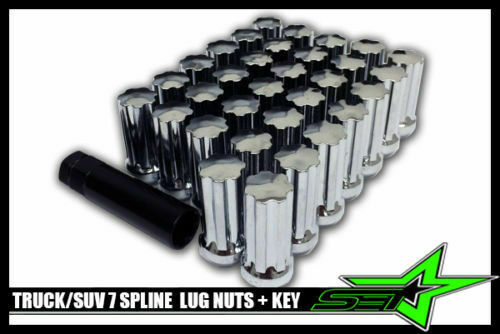 -1x SPLINE LOCK KEY'S included! -7 SPLINES FOR SAFETY AND SECURITY.